So why do you need to use an Amplifier? Adding an amplifier into an audio system will greatly enhance the sound quality and the overall control of your speakers. 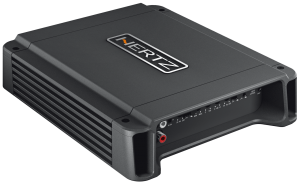 An amplifier generates the power to drive the speakers properly and not just increases volume but allows the speakers or subwoofer to better produce and control the frequency you want them to play. 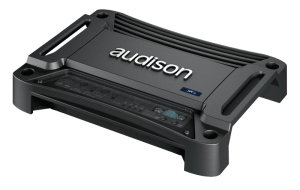 We stock many different brands of amplifiers such as Hertz, Audison and Rainbow with varying prices to suit All Budgets. Amplifiers come in all shapes and sizes, depending on quality, the power they produce and application they are used for. Please read on for further information to help you choose what type of amplifier is right for you. A mono amp generally is designed to power a subwoofer and will normally be able to power more than one subwoofer at a time. As with all amplifier purchases we would normally recommend you come into our store for a “Demo” of the options available to you as they vary greatly in quality and in power ratings which is often very confusing and this leads to you “Not Buying the right Amp for you”. This type of amplifier can be used in two ways. It will power a pair of speakers, either front or rear, or you can ‘bridge’ the 2 channels into a single channel to power a subwoofer. As with all amplifier purchases we would normally recommend you come into our store for a “Demo” of the options available to you as they vary greatly in quality and in power ratings which is often very confusing and this leads to you “Not Buying the right Amp for you”. 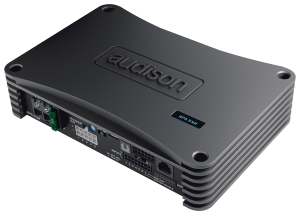 Sometimes known as a multi-channel amplifier, a four channel has much more scope and can be used in many configurations. It can be used to power your front and rear speakers, front speakers and a subwoofer, rear speakers and a subwoofer, 2 subwoofers, or you can use the entire amplifier to power the front component speakers in a mode called ‘active’ where you ignore the passive crossovers for the speakers and run each speaker off a seperate channel. Running an active system can give you a better sound, but is a lot more difficult to get right and the set-up can take a lot of time to perfect. As with all amplifier purchases we would normally recommend you come into our store for a “Demo” of the options available to you as they vary greatly in quality and in power ratings which is often very confusing and this leads to you “Not Buying the right Amp for you”. 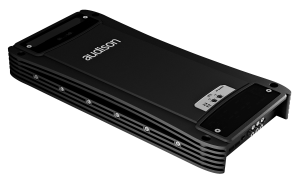 If you’re wanting a single amplifier that will power an entire system, then this type of amplifier is what you want. Sometimes known as a ‘System Amplifier’ this type of amplifier usually has a front and rear section which is the same power, which you would use for front and rear speakers and then either a mono section (5 channel) or another pair of terminals (6 channel) for a subwoofer. As with all amplifier purchases we would normally recommend you come into our store for a “Demo” of the options available to you as they vary greatly in quality and in power ratings which is often very confusing and this leads to you “Not Buying the right Amp for you”. Some companies like to label their speakers with ridiculous claims like ‘1200 watts.’ It is very rare that this is true and most companies will use a ‘peak’ or ‘max’ power figure. When choosing speakers or amplifiers always look at the ‘RMS’ figures as this should be the true power figure.